Free admission. Reservation is required. Music is a universal language that transcends all cultural barriers. Not only it brings us joy and happiness, but it can also help to relax us and recharge our subtle energy system within. By enjoying melodious and rhythmic traditional Indian and multi-cultural songs, you would experience true harmony and yoga’s peaceful state. they use include harmonium, tabla, dholak and percussion instruments. Western instruments such as flute and guitar would be played, too. 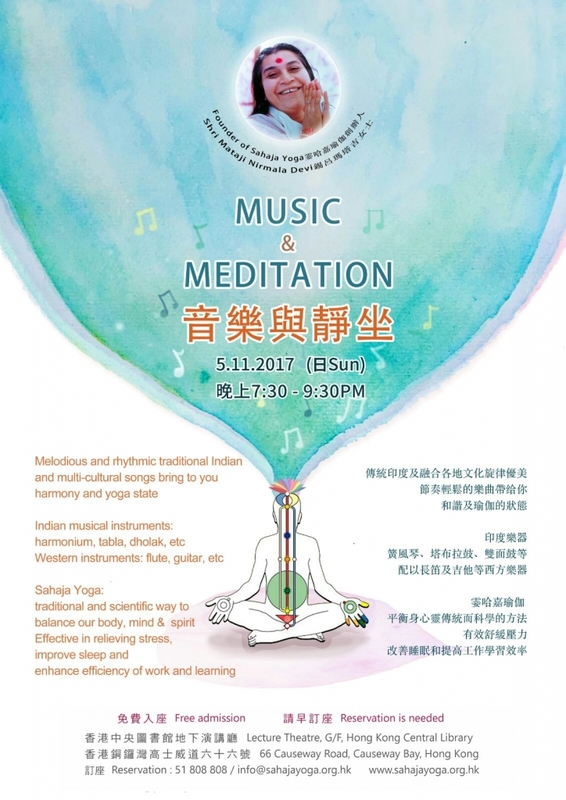 Reservation/enquiry: 51 808 808 / info@sahajayoga.org.hk. See you then!